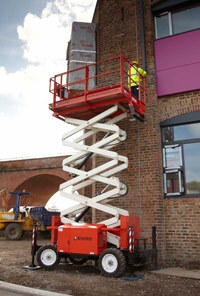 A rough terrain Scissors Lift with a working height of 12mts. It has automatic outriggers which allow it to level itself, 4wd, and a roll-out extension deck. Suitable for uneven and rough ground.